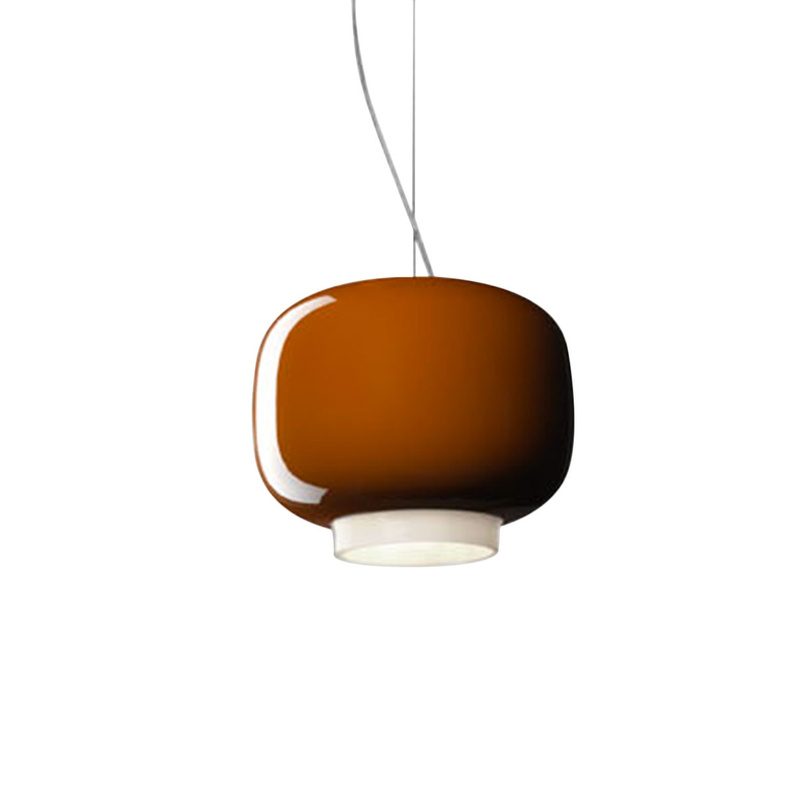 The family of Chouchin is a collection of three suspension lights made of blown glass of various shapes, sizes and colours. 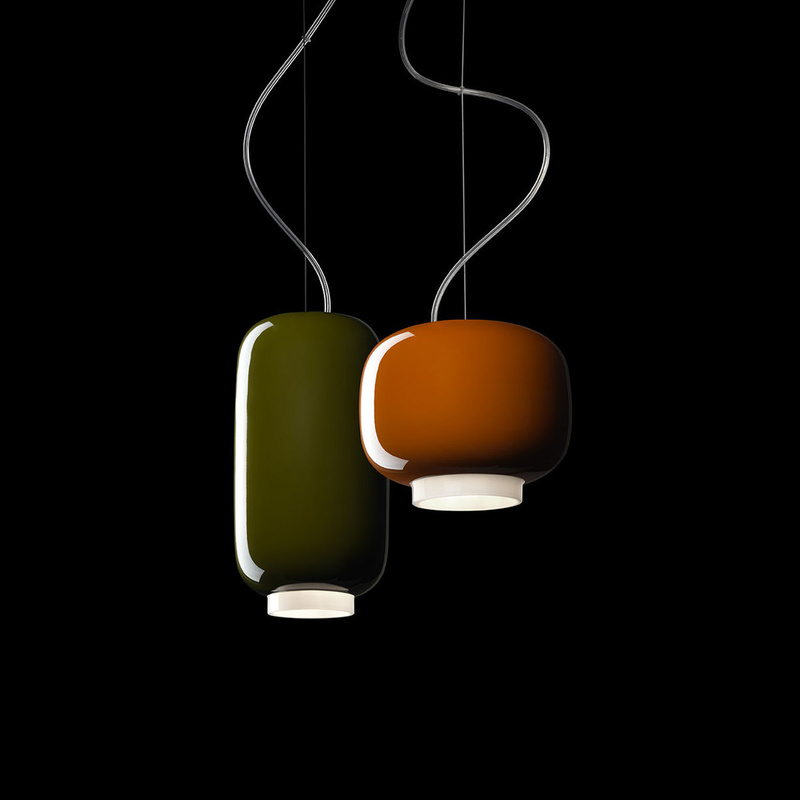 Chouchin is a family of suspended lamps that takes its name from traditional Japanese paper and bamboo lanterns used as light and bright signs outside restaurants and bars, or as lucky charms outside homes. 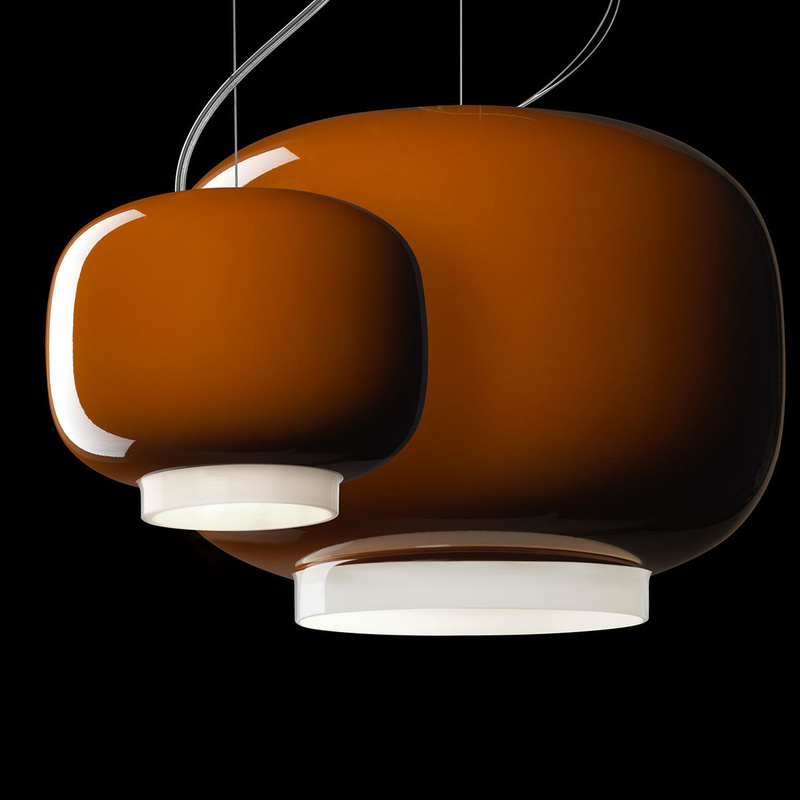 Their typical shape have been reinterpreted in a pure contemporary style, using an age-old material: blown glass that has been painted to make it completely opaque and glossy from the outside. 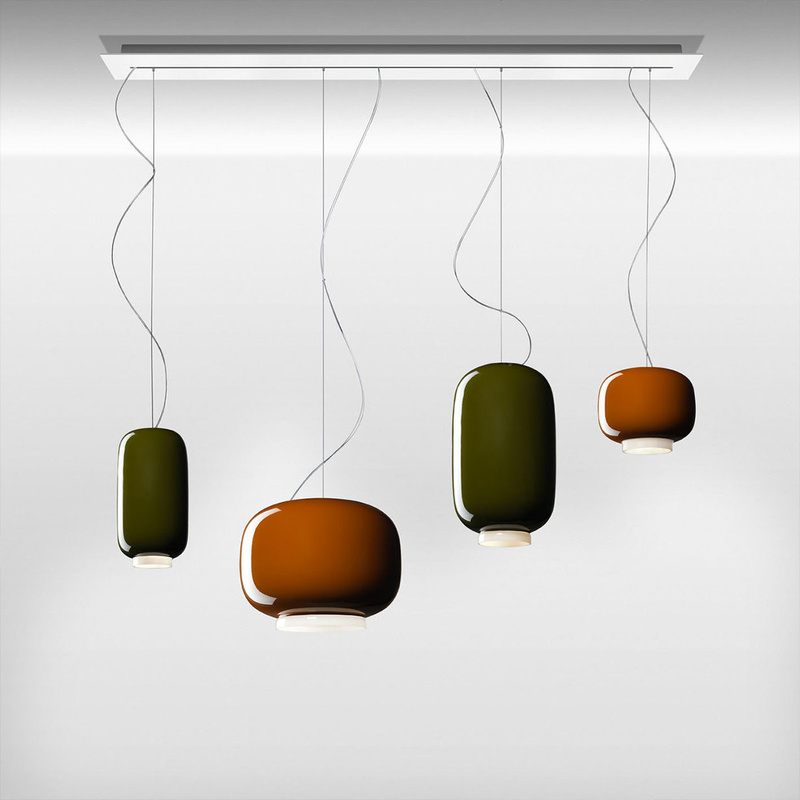 The result combines a warm colouring, textured and precious, with a luminous collar that projects an intense, direct beam of light downwards.The family includes three shapes, each with its colour: orange for the large version, grey for the small version and green for the elongated one. The shape and shade accentuate the individuality of each model, coloured in tones that combine beautifully with each other when used in multiple compositions. The lacquered glass screens the light completely and therefore the main body spreads light only where it is not coloured, through the white collar. 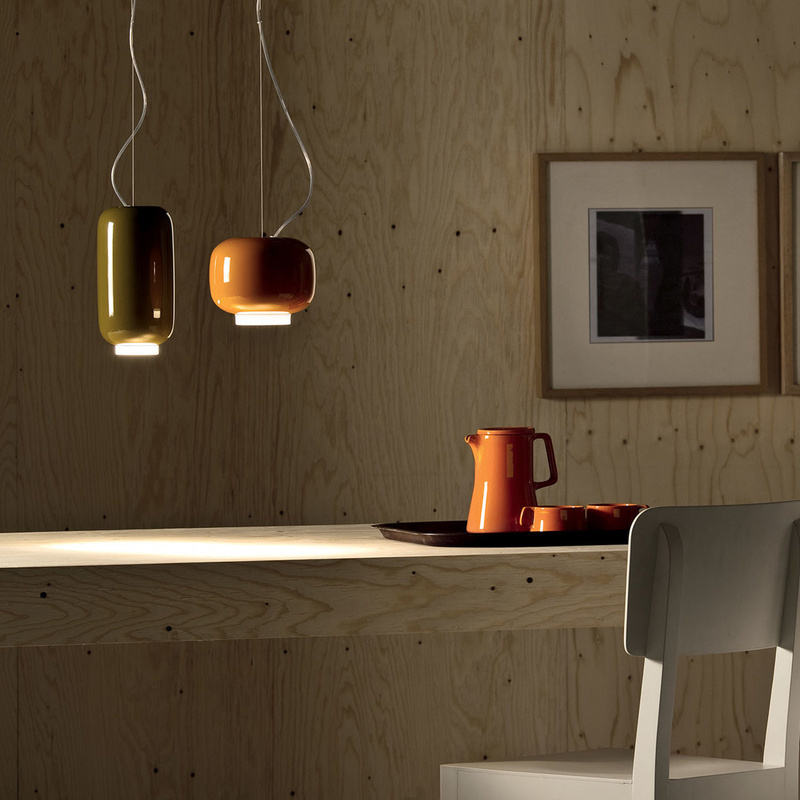 It sheds a very warm, gentle glow and a direct, strong, concentrated light. Compatible bulbs: halogen energy saver 1 x 150W E27, halogen 1 x 100W E27 PAR 30 30° or compact fluorescent 1 x 25W E27. Cable length 190 cm. Born in France in 1979, Ionna Vautrin graduated at the Design School in Nantes Atlantique in 2002. Then she started to work for Camper in Spain and for George J. Sowden's studio in Italy and Ronan & Erwan Bouroullec's studio in France. 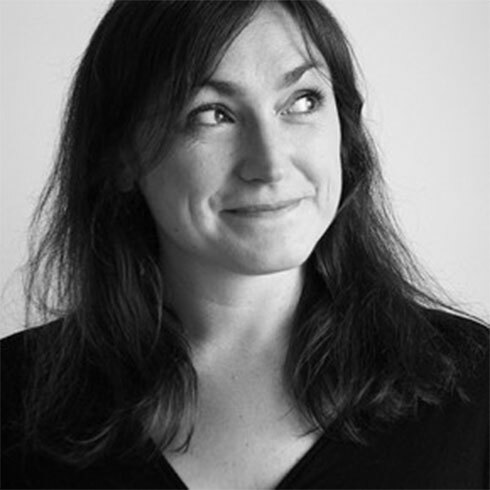 She independently developed projects with various design companies: first with Industreal in Milan, then with Tools Gallery in Paris and since 2010 with Foscarini.